As far as practicality is concerned, the Bedgear Basic Sheets might be your best bet for new bed sheets. In addition to being wrinkle and stain resistant, our Bedgear Basic Sheets reduce allergens and are perfect for every season. If you’ve had trouble figuring out how to keep fitted sheets from coming off, the Bedgear Basic Sheets come with anchor bands on all four corners, which help ensure a secure fit. These sheets are affordable, practical, and exceptionally soft, and you can choose from three different colors: Sand, Mist, and Frost. Cotton sheets are known for their breathability, and these Hyper-Cotton Performance sheets from Bedgear take breathability to the next level. In addition to fostering fast moisture evaporation and continuous air circulation, Hyper-cotton sheets are made with eco-friendly fibers that are wrinkle, bacteria, and allergen resistant. They also come with fitted sheet straps, which offer a secure grip on all types of mattresses, including power bases. Our Hyper-Cotton sheets come in four color options: Navy, White, Steel Gray, and Champagne. If staying cool and dry is your top priority, our Bedgear Dri-Tec Performance Sheets are the best breathable sheets you can buy. The special Dri-Tec fabric wicks away heat and moisture, while the Air-Xmesh sidewalls and breathable hems help provide ample air flow, so you’ll experience optimal body temperature regulation throughout the night. The fitted sheets feature a high-stretch Powerband, which serves as a fitted sheet strap to keep your sheets secure, even if you’re someone who moves a lot in their sleep. Our Dri-Tec sheets come in five different color options: White, Steel Gray, Seafoam, Lavender and Champagne. At The RoomPlace, we’re constantly updating our styles and collections. 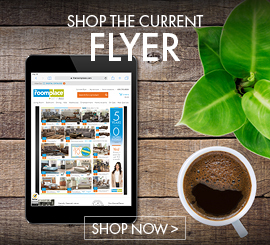 Visit our furniture stores in Chicago and Indianapolis to see the newest additions or browse online at www.theroomplace.com. 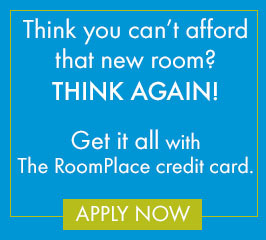 With our affordable pricing and flexible financing options, you can Get It All at The RoomPlace! What Rug Material is Right For You?